Hey guys! I want to share something with you… I have an award! *happy dance* Thank you very much to Sarah from 31 and over for the nomination! Similarly, I’m going to nominate new blogs for this award. 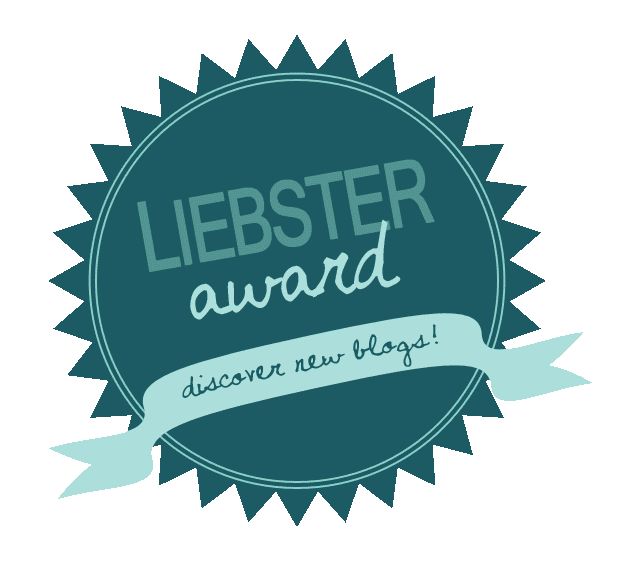 Liebster Award is a recognition given to bloggers by other bloggers. Upon acceptance, you must then pass it on to other bloggers to continue sharing the love and discovering new blogs. 1. Who is your travel inspiration? Why? My parents. They taught me a lot of things, including traveling. Ever since I was a child, we’ve been travelling in Philippines one summer at a time. Until now, I’m not sure how they do it since they don’t use the internet to search for places. 2. What’s the furthest destination (from home) that you traveled to? I have never been out of the country. I’m enjoying every paradise I found here in the Philippines. If this will be counted, I just booked a plane ticket to Hong Kong! In fact, I’m very excited about this, I even have an Itinerary for the trip. Haha. 3. Do you like traveling alone or with a group? I like being with a group. It’s always merrier when we are more. I would like to share one of my adventures with a group. We sailed 4 days and 3 nights. At that moment, I only knew a few people, but it turned out really fun. I met strangers now turned into friends. 4. Have you traveled to a place you couldn’t wait to get out of? No, I always find good things in every place. Besides, my country is a paradise. 5. Can you give one hidden gem (name of the place and where it can be found) you’ve stumbled into that you would like to share? This one in Guintarcan Island, Bantayan, Cebu. The place is so secluded. Truly, it was beautiful and never been touched. I created a post about it. Just click here. 6. What’s the most amazing thing that happened to you while traveling? Meeting a lot of amazing people! For me people have bigger impact than the place when I travel. They have given me a new perspective in life, which I believe made me a better person. It’s because of traveling that made me more diverse in all aspects. 7. How about the scariest thing? I’m not sure if I have a scary thing that happened to me, or I’m just bad in recalling it. 8. Can you name a city or country you always find yourself coming back to? 9. What were/are your travel misconceptions which you have proven wrong – if there are any? That travelling is expensive. I would probably agree to it since money is so hard to earn. But, I’ve been to beautiful places with less than $40. Also, there’s nothing expensive in traveling since I have gained more in each experience and destination I’ve been to. 10. Are you more of a sea or mountain person? I have read somewhere In the internet that extroverts are more of a sea person and introverts are more of a mountain person. In this case, maybe it’s true! In fact, I am more of a sea person. I like walking on the vast shoreline, dipping in the blue water, surfing on beautiful waves, and just under the sun. 11. What’s on the top of your bucket list that you haven’t done yet? Well, I guess everyone wants this. Go on a long term travel! For this reason, I’m investing in things that would take me to this dream. I know it will take a lot of effort to make this happen and I’m taking it one step and a time. But for now I’ll explore more of my country and the nearby countries before doing the big leap and I will be more than happy to share every adventure I’m about to embark here in the blog. Have you ever fall in love in a place? Where? Can you share your top 5 favorite songs while traveling? Have you done Solo travel before? Where and how was it? What is the worst thing happened to you while traveling? How about the best thing? Why you started a travel blog? Any inspirational travel quote you like? And Why? How traveling made you a better person? Congratulations Nominees! Don’t ever break the chain and hope you’ll find other new blogs out there. Love it, Roneth! And I agree, my home country, which happens to be the Philippines as well, is paradise! It may sound patriotic, but there’s no place on earth quite like it! I am missing it so much right now. 🙁 Traveling does allow you learn about and appreciate not just other people’s cultures, but mostly your own.